COCAINE WORTH AROUND €140,000 was found in a checked in bag at Dublin airport yesterday. The drugs were hidden in three cosmetic bottles. Revenue officers found the drugs when they stopped and searched a 25-year-old Brazilian man as he returned home to Dublin from Barcelona. The man was arrested and appeared before Judge Cormac Dunne in the Criminal Courts of Justice this morning. He was remanded in custody until Thursday January 14. 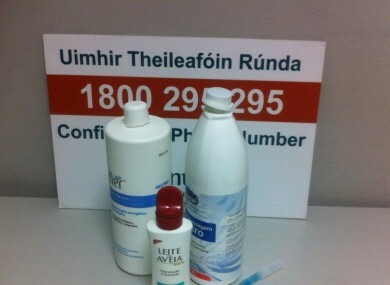 Email “€140,000 worth of cocaine found in cosmetic bottles in checked in bag at Dublin airport ”. Feedback on “€140,000 worth of cocaine found in cosmetic bottles in checked in bag at Dublin airport ”.